The Yu-Gi-Oh! 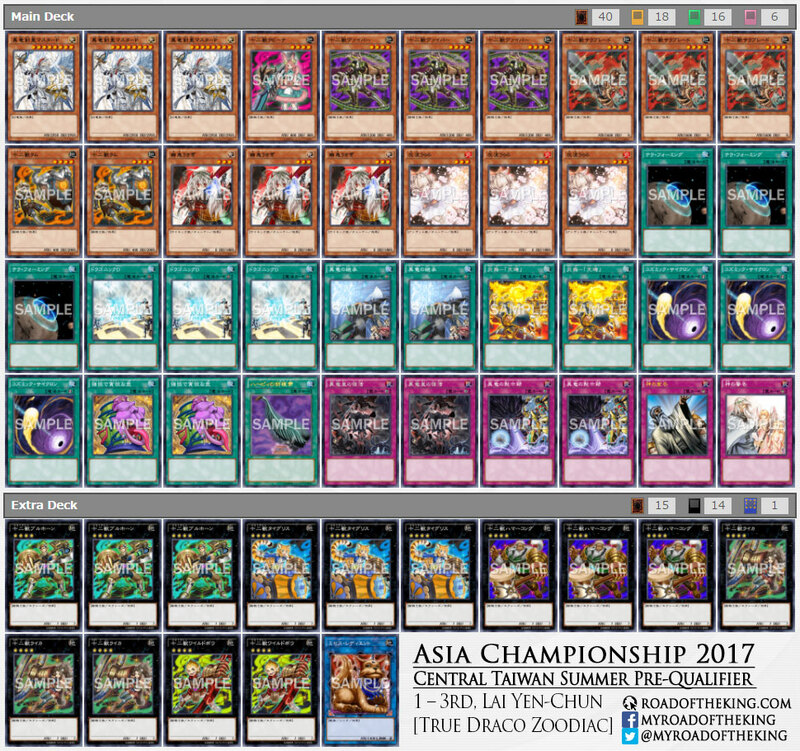 Asia Championship 2017 Central Taiwan Summer Preliminary Qualifier (Japanese format) held on 27 May 2017 at Taichung had a total of 100 participants. 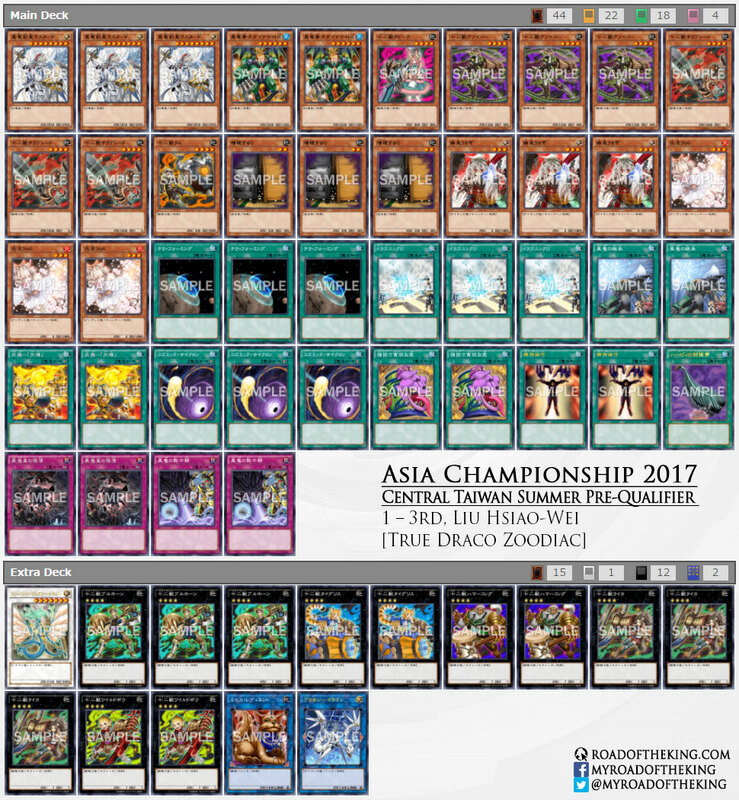 The Top 3 players of this tournament will be seeded in the Asia Championship 2017 Taiwan Summer Qualifier that will be held at Kaohsiung on 17 June 2017. *Side Deck was not revealed. 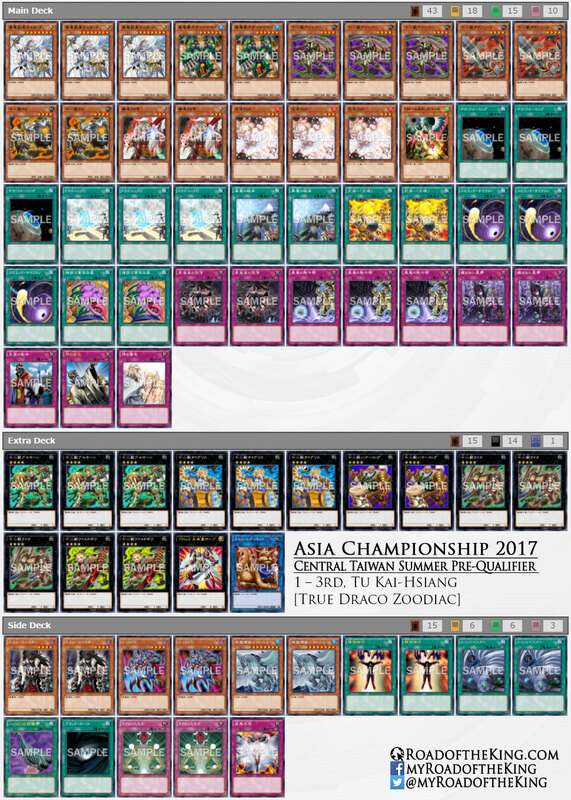 Can we get that Trickstar decklist? Can you post the decklist of windwitch trickstar in the top?